Are you a proud PlayStation owner in the Philippines? Do you like / love the Uncharted Series and The Last of Us? Then it may please you to know that many of the assets you see in these games – be it items, weapons, or environmental assets – were home grown right here in the Philippines! Meet Secret 6! 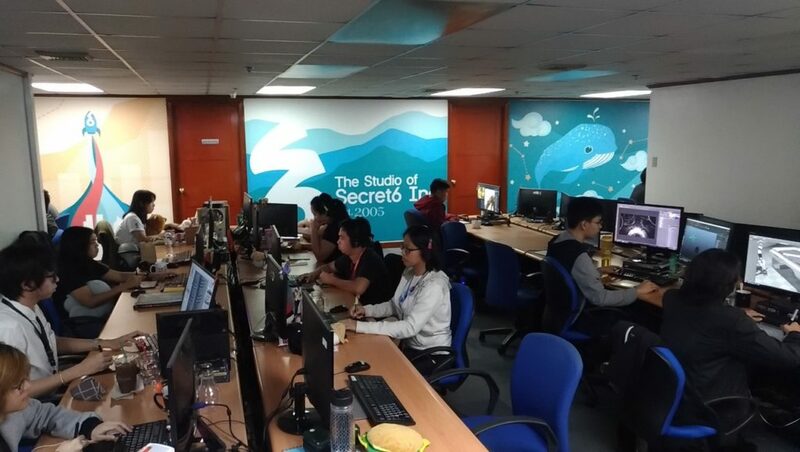 Secret 6 is a game dev studio that’s based here in the Philippines and San Francisco. 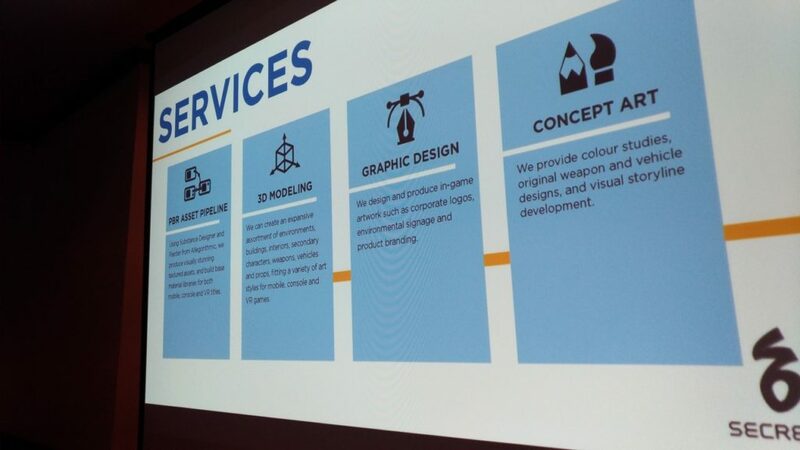 They specialize in 3D art for AAA game titles, 2D art, and full-on game production. It’s actually nice to know that we have a company right here in the country that gets their work featured is so many of the games that have taken the global spotlight. 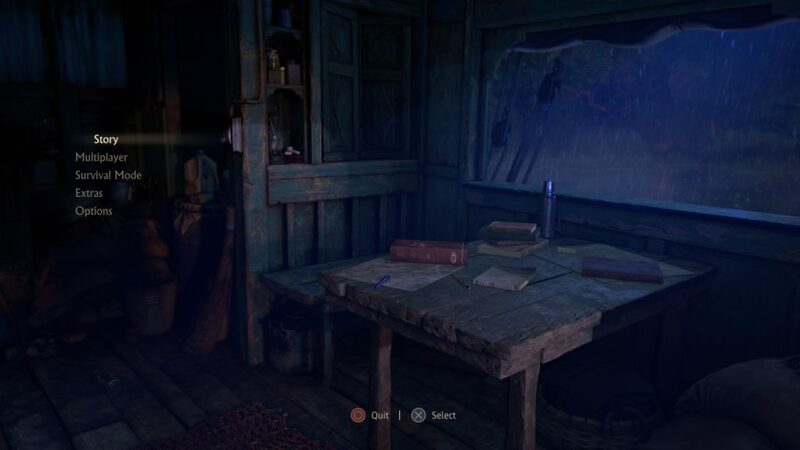 We saw many of their works like the start menu screen of Uncharted: The Lost Legacy, the various weapons used in the game (some of which were fully designed by them), background terrain elements, and many many more. 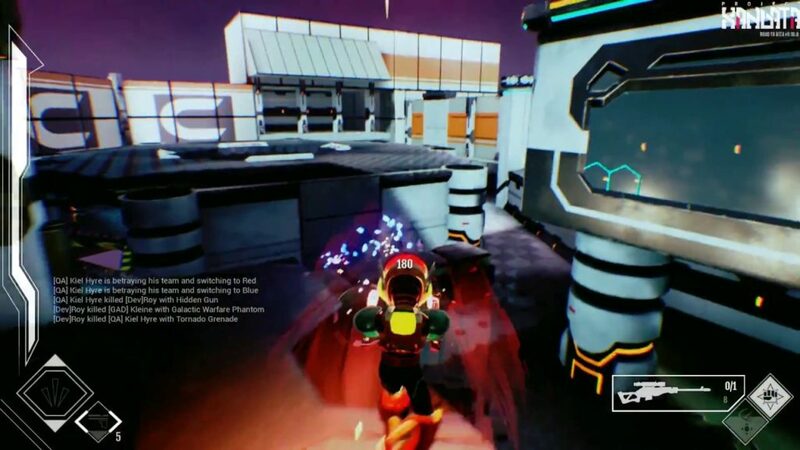 One of their more recent projects concerns the creation of their own IP – a first person shooting game called Project Xandata. UnGeek (UG): Aside from Naughty Dog, did you have any other dream partnerships? Alexis D. Lewington (AL): Crystal Dynamics, for sure. 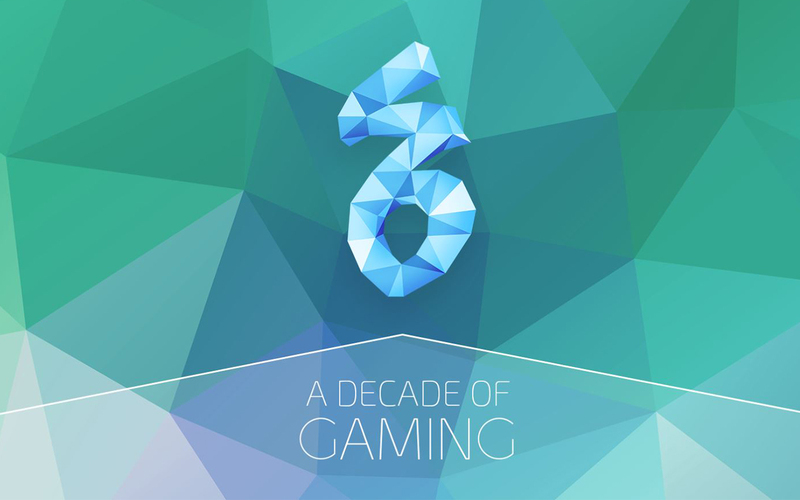 But more than a specific company, we want to work on any game… not just AAA but games that internationally people want to discuss.. in blogs all over the world… any game that brings in a huge amount of passion because people love the characters, love the game, the environments, and everything that come together to make those games. So we want to be on the cutting edge of those games that are really making huge conversations around the world. Ron Schaffner (RS): One of the drawbacks though of working with a game you really love then you start to figure out the story even before the game comes out (laughs). That’s why sometimes the dream titles… Do I really wanna know or not? Its sort of like a catch 22. But yeah, basically AAA titles and games that push us. Clients like with Naughty Dog, each game they set the bar higher. It’s like you’re playing a movie. If someone walks into the room while you’re playing, they’ll think you’re watching a movie but they’ll see you have a controller in your hand… I do remember watching the trailer when I went to the Naughty Dog studio before the Lost Legacy came out and I was just shocked. I couldn’t believe that “wow, we just shipped Uncharted 4 and you’re doing this?”It was really incredible. AL: The kind of detail Naughty Dog puts in a game…nothing small even goes unnoticed and even though a character may walk around something and even if the player doesn’t recognize it, they want the detail. They want the authenticity for it to be the best in can possibly be. When you work with a client like that, you always learn so much and it’s changed the way we handle the assets and we take responsibility that each detail is where they need it to be so the asset looks as best as it can be. UG: You’ve already made the leap from making assets to making your own game with Project Xandata. How far are you taking this plan? Will you be starting to make games on the regular? RS: Going back to 12 years ago, when I first wrote the business plan, to me the idea was start with 3D artists and keep expanding – adding more to what we can do. But as we do that, we need to have a steady revenue stream. If you’re making an original IP and you have 140 people and you have to pay them every month and you’re building a game that, say, takes maybe a year to make, where does the money come from? How do you pay salaries? How do you pay rent? You gotta have a lot of money saved up in order to do that or a publisher gives you money and you hope that they don’t change their mind or that the project gets cancelled. So there’s a lot of risk in doing this. But the whole idea with Project Xandata, even before that, we released a couple of simple mobile games, we had game jams every quarter, we have teams of people here that come up with game pitches, make a prototype and the winning one gets fully developed. With Project Xandata, it’s really our effort and the plan is to release it next year so it’s going to be over a year in development and we have dedicated people working on it. The nice thing is that when we work for Naughty Dog, the profit we get from that goes into these sort of activities… If Project Xandata is successful, we can get revenue many times over than what we invested in it. So with luck, Project Xandata will be successful and we can take that profit and use it to make more games. It’s good to have that engine running to keep everything working. AL: If you look at Horizon Zero Dawn, that game idea actually came from an internal brainstorming with the creative team. So it really depends with the ideas that come forward from the team. And these guys are passionate. They eat, live, breathe games and they know every aspect of the game. So it depends on the idea on whether we’ll invest into those games further. UG: What was the biggest hurdle for you to get something of local quality and elevate it to AAA standards? RS: We brought an artists from the US to train our team of 4 (at that time) but it’s just a lot of hard work. Carlos Calalec (CC): For me the challenge in really pushing the limits of the artists here is really the execution of the tools… getting the right execution that the client wants…we push the limits of the tools we have, we get the tech that we need to make it happen and make an asset looks really good. But it comes down to how we really maximize and push the boundaries of what we can do with these tools. How we look for resources… how we research, etc. RS: One of clients actually told us “How’d you guys do that” referring to creating this sort of fabric in the game! It takes time to learn these things but we put in the effort and make it happen. More and more opportunities for game development are popping up here locally. If you’re interested in learning more, you can check out their website HERE! Next articleICYMI: The apocalypse is un-canceled as a new Pacific Rim: Uprising trailer drops!